Our best-selling pinball machine rental! 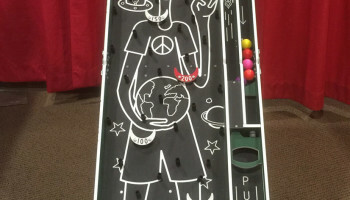 Enjoy our “out-of-this-world” Alien Plinko Pinball Game. Pull a lever and watch as the multi-colored balls go racing through space. How many points can you land on? Perfect for any school carnival, trade show or any event that is needing a little extra FUN! Don’t have room or power in your trade show booth? 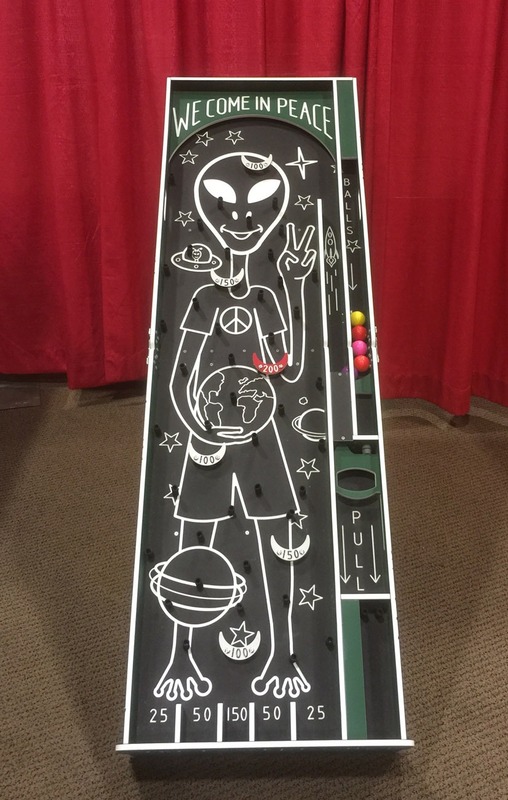 Add our Alien Plinko Pinball Game to grab people’s attention and draw them into your booth. This game is designed with sturdy hinges to fold for easy set-up, transportation, and storage. Comes with 6 balls of various colors. Folded – 23 x 35.5 x 8.5 in. Open – 23 x 70.5 x 8.5 in.